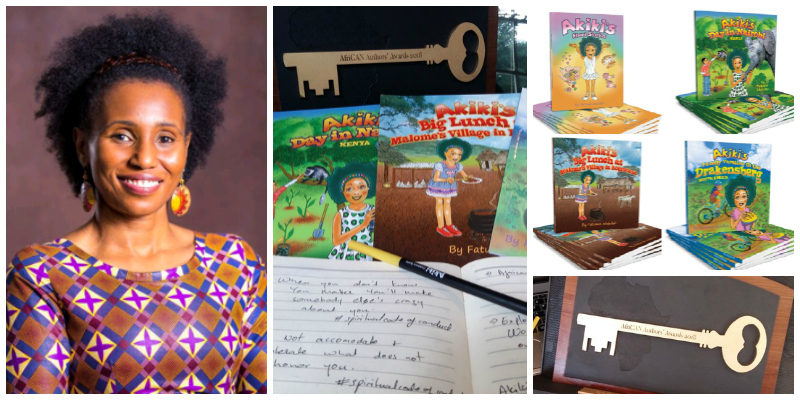 South Africa based publishing entrepreneur, Fatuma Abdullah, founder of Akiki Dolls and the visionary behind the Akiki series of children’s books, has just won The AfriCAN Authors’ Awards 2018. The awards which celebrate Self-Published African Authors recognised Fatuma’s engaging books in the category of Children's Travel Books. Africa is rich in culture, language and tradition, and Fatuma celebrates these facets through her Akiki books which take children on imaginary travels across the continent through the eyes of the engaging lead character of Akiki. Many companies are inspired by a dream or a vision to make a difference in some way. For company founder, Fatuma Abdullah, the Kenyan-born visionary behind Akiki Dolls, that dream came in the form of storytelling and creating dolls that embodied her vision of a new normal in Africa. Currently there are four published Akiki books which are available in South Africa and Kenya. They are Akiki’s Short Stories; Akiki’s Day in Nairobi, Kenya; Akiki’s Family Vacation in the Drakensberg, South Africa; and Akiki’s Big Lunch at Malome’s Village in Botswana. Loved by parents and children alike, these books portray a positive, confident and highly engaging story of a young African girl eager to explore the continent she calls home. To find out more about Fatuma Abdullah, read her start-up story on Lionesses of Africa here.